The turquoise waters and warm weather draw visitors throughout the year, and there is no shortage of beaches to enjoy and relax on no matter where in Cuba visitors may choose. Travelers can find cobbled streets, tales of pirates, grandiose architecture, colonial cities and more near the country’s many beaches as well. Ancón Beach and its white sands are only about a ten minute drive from the city of Trinidad, making it an ideal destination to escape the city and spend a day simply lounging on the beach or swimming in the beautiful turquoise waters. Ancón Beach is approximately 2.5 miles in length, offering plenty of space for beachgoers. Over thirty dive sites are located off of the beach, such as Cayo Blanco, which is ringed by coral reefs and about forty-five minutes by boat from Ancón Beach. Other recreational activities include swimming, snorkeling, and deep-sea fishing. 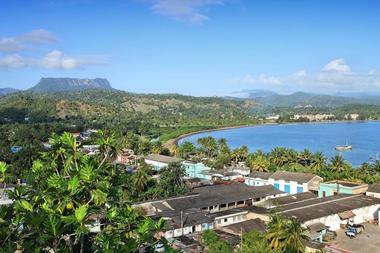 Bahia de Baracoa, also known as the Bay of Baracoa, is located on the eastern end of the country of Cuba. With a backdrop of verdant mangroves dotted by beautiful pastel houses, it probably doesn’t come as much of a surprise that Christopher Columbus once called the bay the “most beautiful place in the world” when he stepped onto the stunning island back during the 1500’s. Bahia de Baracoa features deep and clear teal waters and sand of a charcoal velvet color. While visitors are there, they could try a cucurucho, which is a mixture of dried tropical fruits, sugar, and coconut. Cayo Coco is one of the Caribbean’s most popular destinations for all-inclusive vacations, with its beautiful white sandy beaches and variety of available resorts. The resort area is a part of an archipelago along the country’s central-northern coast and is the largest one surrounding the main island. Cayo Coco is protected by a coral barrier measuring 400 kilometers in length, offering calm beaches, superb snorkeling and scuba diving, and one of the world’s major coral reefs. The area is also home to a flamingo colony, providing a unique opportunity for visitors to spot these interesting animals out in nature. 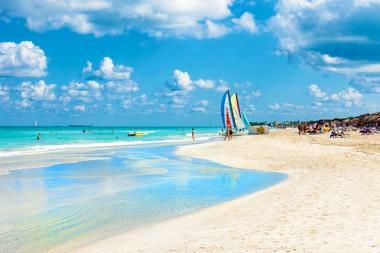 Cayo Guillermo is considered to be one of the most beautiful beaches in Cuba. The beaches here boasts powdery white sands that are bathed by turquoise waters of the calm, crystal-clear sea. This makes the beaches at Cayo Guillermo a perfect spot for some safe swimming, long walks along the sand, and a variety of water sports. The cay offers perhaps the best conditions for kitesurfing anywhere in the country. Cayo Guillermo is protected from high surf thanks to coral reef platforms located offshore. 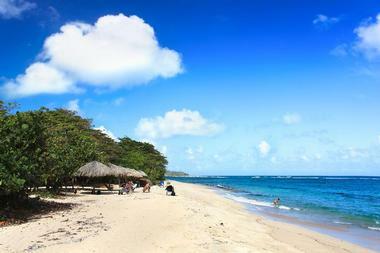 The beaches also boasts sandy entrances to the water with gentle slopes with shallow areas. 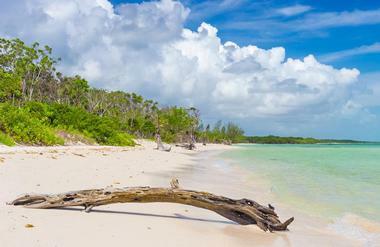 Cayo Jutias is the most discovered, yet “undiscovered” beach of Pinar del Rio. Stretching three kilometers long, a blanket of sand covers the northern coast. The mangrove-covered key is about sixty-five kilometers to the northwest from Viñales and is connected to mainland Cuba by a short causeway. 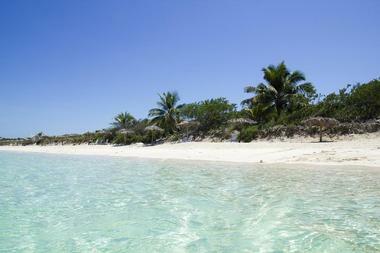 Cayo Jutias is considered to be one of the most picturesque beaches in the area. Since there are no hotels or resorts on Cayo Jutias, visitors will find a great deal more of tranquility here compared to some of the other beaches in Cuba. There is also a metal lighthouse that was constructed in 1902. 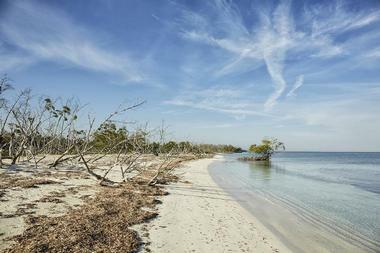 Cayo las Brujas is located near the mainland and is home to the area’s only marina. 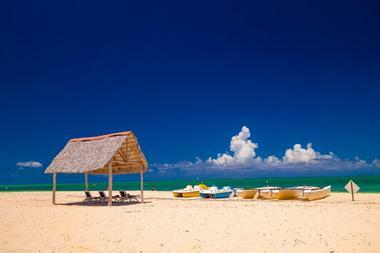 The beach is also home to some of the more affordable hotels, making Cayo las Brujas accessible and economical. With a size of just seven square kilometers, the island is rather small, but combined with the neighboring cays of Cayo Santa Maria and Cayo Ensenachos, it creates a nice resort destination known to many as Los Cayos de Villa Clara. Cayo las Brujas is also considered to be a world-class place for fishing, along with being known for clear turquoise waters and fine white sandy beaches. Cayo Levisa is one of Cuba’s beaches that is still relatively outside of the radar of mass tourism, which is probably why it is still thought to be one of the country’s most beautiful beaches. Situated not too far from the city of Havana, the capital of Cuba, this island is easily accessible from the port of Palma Rubia. 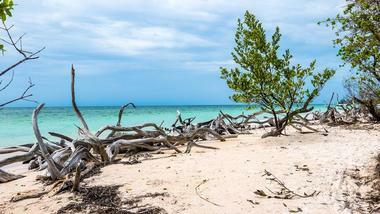 Cayo Levisa is known for its sapphire waters, white sandy beaches, and black coral habitation. It is also a popular spot with divers and snorkelers. There is a diving center, a restaurant, and a bungalow-style hotel boasting twenty cottages on the island. 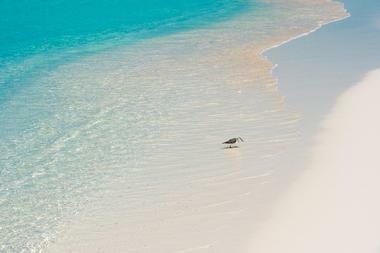 Playa de Tortuga on Cayo Largo del Sur is a natural environment that has been virtually untouched, as such, it provides a haven for hundreds of different birds, such as cormorants, pelicans, seagulls, and many others. The beach is also home to many sea turtles and lazy, big iguanas that love to relax on the rocks that overhang the beach. Hundreds of sea turtles come to Playa de Tortuga between the months of May and October to lay their eggs along the bank. 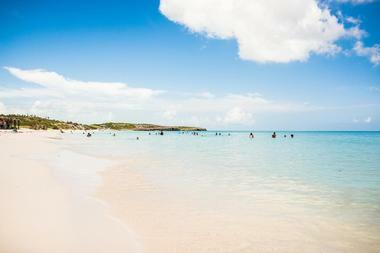 Playa de Tortuga boasts warm turquoise waters, white sands, and a gentle underwater incline. Playa del Este is well known for its stunning sandy beaches, vibrant beach sunsets, and clear waters of deep blue, a picture-perfect beach. The beach is located on the city of Havana’s eastern side and is a series of gold-studded beaches that run down a total length of approximately ten kilometers. Tourists can find a range of resorts and hotels along the shoreline, from budget hotels to luxury resorts. Despite an increased number of visitors, Playa del Este still boasts a time-warped and rustic atmosphere, providing a refreshing beach to visit compared to some other more tourist-packed beaches in Cuba. Playa Duaba is located in Baracoa, a city in the Guantánamo province. The beach is the site where Antonio Maceo landed on April 1 of 1895, along with a group of patriots, to help the uprising. The actual site of the landing is located four miles away from the city of Baracoa to the northwest. A monument was built to commemorate the event and was declared to be a National Monument on Christmas Day of 1979. 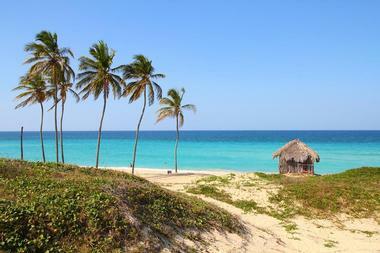 Playa Duaba still remains mostly untouched by man, with only some typical Cuban coast vegetation and a few modest homes. Playa Maguana is located around twenty kilometers to the northwest from Baracoa and is thought to be one of the best beaches in the area. An offshore reef can be just a short distance from the beach, providing protection for the beach, however, the waters can still sometimes be a bit rough. The picturesque white sandy beach makes for a good day trip from the city. Visitors can even rent a bike and peddle their way to Playa Maguana from Baracoa. There are some facilities at the beach mixed in within the greenery, including villas for rent and restaurants. Playa Santa Lucia boasts approximately twenty kilometers of beach with golden sands, competing for the title of the longest beach in Cuba with Varadero Beach. Visitors often come to this beach for diving opportunities in the most accessible and one of the best coral reefs on the north coast. The coral reef is situated only a few kilometers offshore. One of the other highlights of Playa Santa Lucia is that most of the beach is still somewhat deserted and isn’t as modernized as some of the country’s other beaches, which could be seen as ideal for some visitors. Punta Francés is a national park best known for its rare species of various wildlife and untouched beaches. It encompasses the southern end of Isla de Juventud, the largest island of Cuba. Visitors often come to Punta Francés for swimming, snorkeling, and diving in the calm, clear waters. The beach is one of the most pristine and secluded anywhere in the country. The Isla de la Juventud is rich in pirate tales and beauty with caves and coves where battles took place between European buccaneers and Spanish convoy ships. Many people searched for gold on the island. 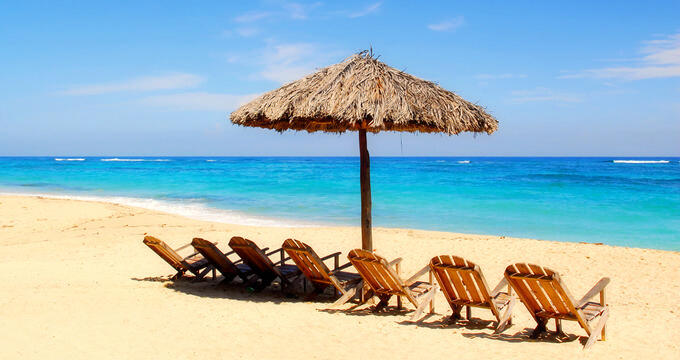 Varadero Beach is one of the country’s most popular beaches and is well known as being a complete package when it comes to a beach holiday in Cuba meant for rejuvenation, with cafes and bars nearby. 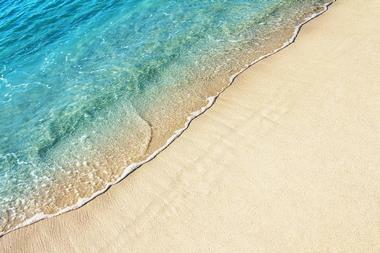 The nearly straight, beautiful, twenty-five kilometer white sand beach stretches across the whole peninsula. 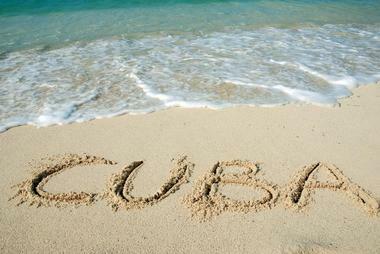 Its combination of green and blue waters form a stunning boundary between the Florida Straits and mainland Cuba. More than thirty dive sites can be found around the peninsula as well. Other activities visitors can enjoy at Varadero Beach include boat rides aboard glass-bottom vessels, fishing, snorkelling, swimming, and sailing.